Wolf. 2015. Acrylic on Canvas. 40″ x 48″. I was recently commissioned by one of my collectors to paint a wolf. The brief was fairly open-ended except for the request that the painting should concentrate on the wolf’s eyes and stare. 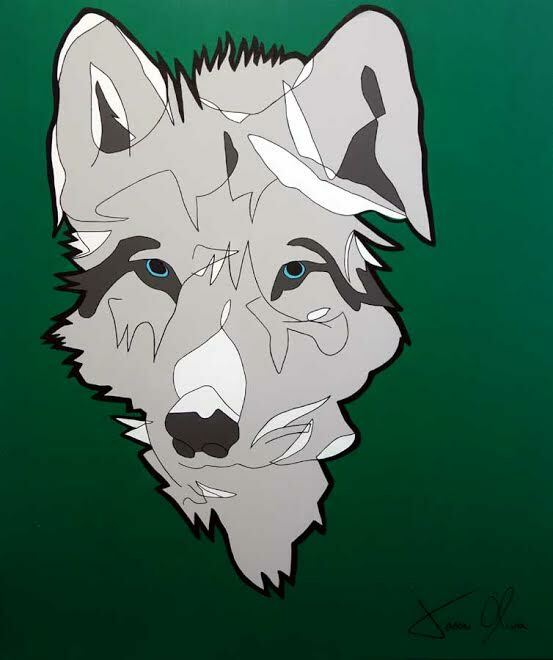 With this in mind I decided to only paint the wolf’s head, which drew attention to the eyes and gave the work a detached flatness, almost as if the head were a mask. As for the green background, I guess I was thinking of Hunters Green. And any other color, in my mind, made it seem like an Arctic wolf. 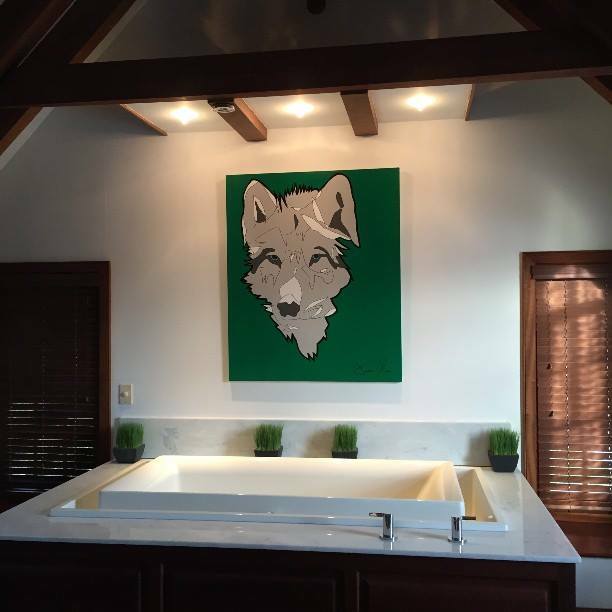 The Wolf painting was for the collector and his family’s new home in Bermuda. It was easier all round to take the painting off its stretcher and mail it rolled. Once in Bermuda, the painting was re-stretched by the family owned Frameworks, who really did a great job. The painting looks awesome hanging on that bathroom wall! Once again, I have recreated another of my sold paintings as a work on paper. To find out more about the Jason Oliva Works on Paper Collection and to view this particular work, please visit our Online Etsy Store. Wolf. Small Work on Paper. 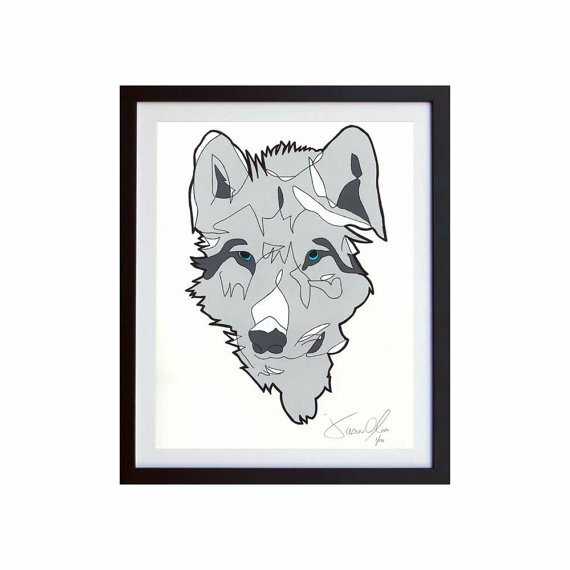 Edition of 100. All are welcome. 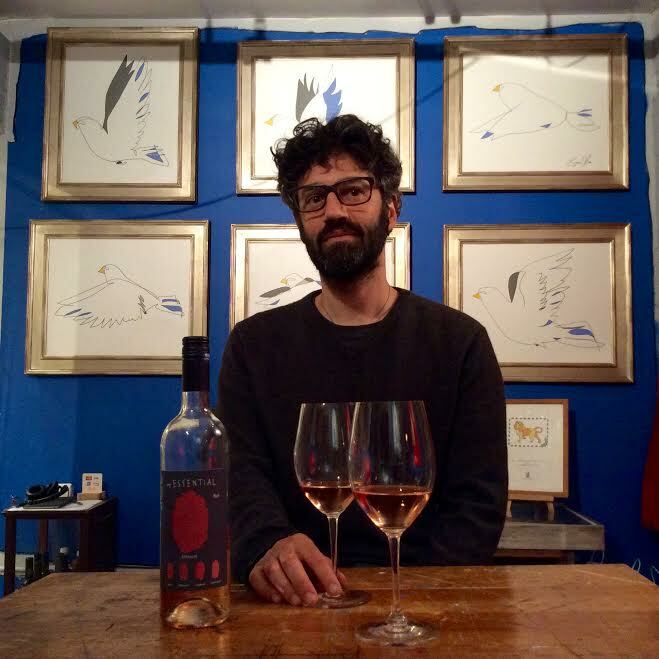 There will be wine! Previous Sports: Baseball, Football, Tennis Ball. 2015. A Recently Sold Painting by Jason Oliva. Next Grey Flower 2014. A Sold Painting by Jason Oliva.